Talking about Australia, sure, sooner or later someone is going to mention the ridiculously high prices. Australia is expensive, for travellers just as well as for Ozis themselves. Despite that prices decreased over the last years, there is no denying the fact you have to bring a lot of pocket money if you wish to holiday in Australia. 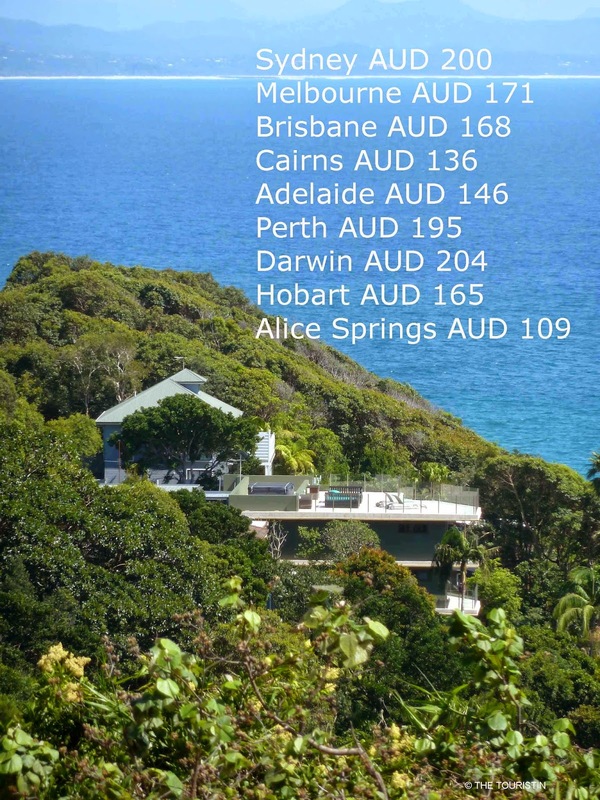 Here we have the average prices according to the Hotel Price Index for a stay/night at a hotel in Australia in 2014. Have you ever been to Australia? Where did you stay? Can you recommend a pretty hotel? Do you prefer to go camping? Do you, no matter what, always try stay for free with friends or are you into Couch Surfing? Looking forward to hear from you.